To fully understand this title it’s important to understand that whilst it’s an excellent stand-alone game, its place as the concluding part of the original Suikoden trilogy elevates many of the story elements past simple save the world fair and into epic finale territory. 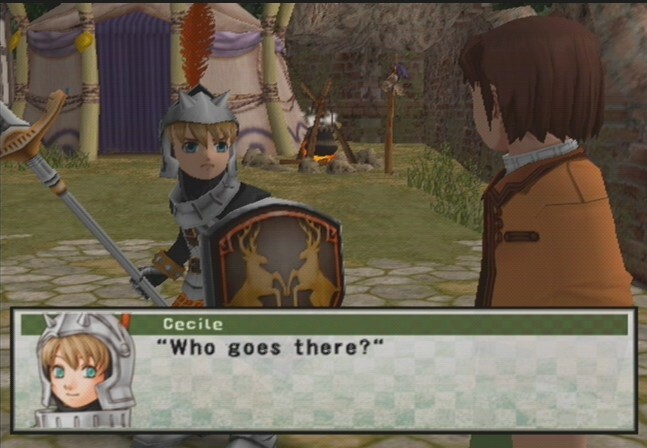 Its links to the previous games are slight and honestly many will never play this title with imported save data all the way from the original Suikoden simply because it’s a nightmare to port PS1 to PS2 save files. The fact that this feature wasn’t addressed in the PSN re-release of these titles was a chance wasted to fix this issue. Still, aside from importing some character data and a few references to previous cannon there’s not too much missed between titles. Suikoden games can be experienced out of order and retrospectively enjoyed, with games taking place within different areas of the same world and characters cameoing between them, and if you’ve picked up III then by all means play it while you look for a copy of I or II and you’ll see foreshadowing of what you know has happened or borders to regions you’ve already explored. Graphically Suikoden III is a mixed bag, having seen release after ‘Final Fantasy X’ shook up the idea of what a 3D rendered JRPG should look like from the earlier playstation efforts in that direction. It’s not that Suikoden III is an ugly game, in fact its art style and character designs are extremely charming and very in-keeping with the series as a whole, but the models are simpler than those seen in other games at its time of release. Locations are also not presented in particularly large regions, rather chunked up into a series of smaller areas to keep loading times down. There is a large variety of different places to explore within the Grasslands region in which this title is set, and the game makes re-use of these sites a key element of the story. The games UI is also clunky compared to more streamlined designs seen in other titles. What it’s important to understand however is that the games cast of 108 recruitable characters and additional major figures (not counting NPCs) all have unique character skins and models, some both on foot and mounted, which gives the game a huge sense of variety and took up a great deal of development time where visual assets are concerned. Characters also all have 2D illustrated portraits and the game opens with an animated cinematic of a genuinely high quality. Musically Suikoden III has some interesting tracks as it spreads its play time across multiple cultures, enabling the themes to take on a number of instruments and inspirations. The opening cinematic is perhaps the most memorable, playing a song which translates as ‘transcending love’ and which features haunting vocals. A change in composer to Michiru Yamane from series mainstay Miki Higashino does see a little clash between the musical themes between the first two titles and this third instalment, but what is here is presented extremely well. Sound effects have a ring to them that instils a sense of weight behind attacks, although some magic attacks sound weaker than their on-screen numbers and visual presentation would imply. 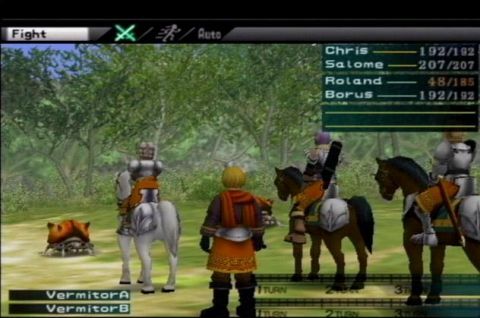 When faced with the question of how to follow on from the series’ last instalment, a title which had pretty much covered everything within the ‘battle to save the world and the soul of your best friend’ theme, the development team decided to take a very different approach to Suikoden III. Instead of following one player-named protagonist on his region-spanning journey the game is instead split across multiple points of view, with the player choosing instead a name for the ‘Flame Champion’ who bears the true fire rune. Each of the games three principle cast gets their own chapter, with their stories collating into one epic campaign before the conclusion and several large revelations made known (which I won’t spoil here). These individuals each have their own cast of supporting characters, optional characters to find and recruit, and separate inventories, which can make for some hard times switching between seasoned veterans back to relative newbies, and they all experience the opening few chapters from their own side’s viewpoint. Chris is the head of the Zexon Knights and a well-known figure as the only female member of that rank, she has to battle her own doubts and the scheming of her city’s council whilst keeping her people safe. Geddoe is a mercenary at the head of a team of playing-card inspired mercs and plays the role of a neutral party in the conflict, despite having secrets of his own. Hugo on the other hand is one of a few survivors from a town wiped out by the knights after peace talks go awry, and must balance his need for revenge against the chance to do the right thing. Finally Thomas is the new master of a castle on common ground within the grasslands and hopes to unite the various people through a free-business enterprise for all. Other view-points exist, and to get the true ending once again all 108 Stars of Destiny must be brought together to see it. This take on storytelling uses a smaller space to tell a more inter-woven story where nobody really can be picked out as the obvious villain, and gives some excellent expansions on the lore of the true runes which have been a series staple and driving force. Gameplay mixes standard JRPG exploration with a variety of more customised actions and systems. Battles in this instalment still have a maximum party of six characters, however now they are rowed in a manner that partners them into groups of two, with the player deciding actions for each of the three groups in this manner. A seventh party member can be in support, not an active participant in the battle but lending passive skills to the game such as HP restoration after a battle. Players can still buy and sell Runes, attaching them to the head, left and right hands of those characters who can unlock all three slots, but no longer place them into weapons. Weapon levelling is unchanged and capped at 16 if all hammers are found throughout the length of the game, and increases the strength of attacks greatly. The biggest new addition is the use of skill points, rewarded after a battle and able to be used as a special currency with teachers throughout the land to learn passive bonuses which have a massive effect on battle performance. Some characters will develop their own unique skills which can be levelled whilst others can learn more overall skills, but this process is a great bonus for grinding cash and experience in-game. Characters still have three spaces to hold items for use in battle in addition to clothing and head gear with shield users at an all-time low this time around, and inventory management is still a big part of the game. Expanding upon Thomas’ castle with each recruit adds more to your base location in traditional Suikoden style and this time you can decorate the building with vases, statues and paintings you’ve found along the way. Playing the lottery is also a handy real-time game for those in need of cash fast, as are several card games and a rather well put together racing mini-game. Duelling rock-paper-scissors style is also present, although used less frequently in this title. Suikoden III makes yet another change to the mass battle system by switching the ‘tactics’ inspired take used in Suikoden II for a board-game-like approach with players managing parties of AI controlled characters across nodes on a battle map, defending, attacking, retreating and using special abilities as needed. It works extremely well and has the added bonus that unless a whole party is wiped out none of the characters have a chance of being permanently killed off, losing you the perfect ending. It’s not all wonderful though. 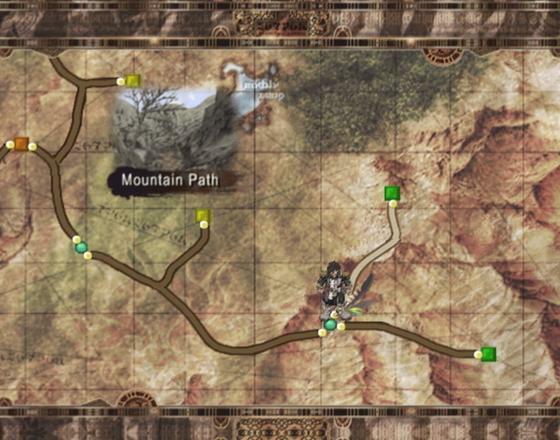 The game uses a world map that sees you walking down pre-made paths to different locations, which all need to be walked through in real-time, making the arrival of the Blinking Mirror and Viki a turning point for the title. Control of the characters is also a little difficult at times, especially when transitioning between screens. It’s possible to be run straight back into the exit you just entered from because the game shifted viewpoint and up is now down, but this happens rarely. On its own Suikoden III would stand up as a great game, but as the closing chapter in a trilogy it’s a profound work of art. Graphically it may not have lived up to the standards set by Square Enix at the time, but from a storytelling and character development standpoint it’s unparalleled on the Playstation 2. The transition between 2D sprite work used in Suikoden II to the 3D models used in this game divide fans, but the game’s visuals show massive variety in animation and design. Available now on the Playstation Network, I highly recommend you download this title immediately. This entry was posted in 5 Stars, Console, JRPG and tagged 5 Stars, Console, JRPG, Konami, Playstation, PS2, PS3, PSP, Sony, Suikoden. Bookmark the permalink.